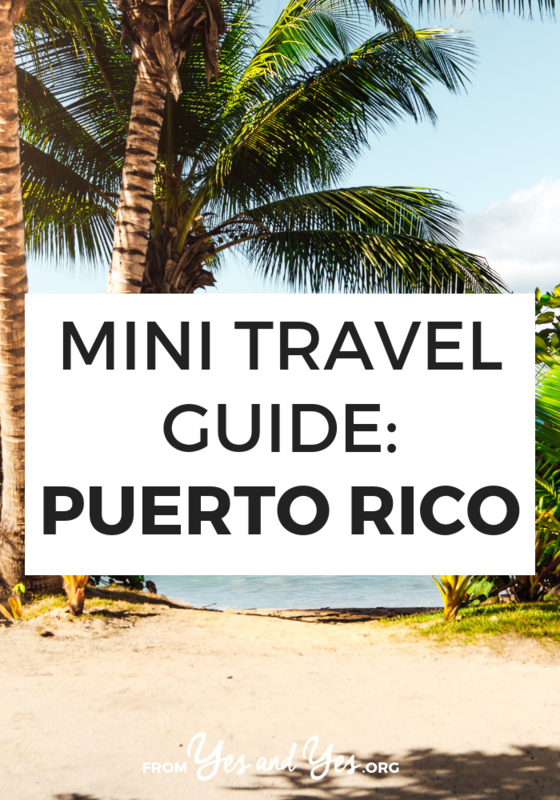 Looking for a travel guide to Puerto Rico? You’re in the right place! You don’t even need a passport to visit this amazing island! You can hop on a flight and visit this U.S. territory to swim in a bio-luminescent bay, mow on cheese-filled pastries, or just hang out on the beach! All without exchanging your dollars! Hello! My name is Neysha, and I’m a writer, photographer, and travel blogger over at Travelsuras. I like to tell the story about how I fell in love with traveling from the back seat of a 1991 Astro Van. My family and I drove this van from the United States to the bottom of Central America over the span of 10 years and then shipped it off to meet us on the little Caribbean island of Puerto Rico. For six years I lived in a house on a hill, nooked between El Yunque National Forest and the blue waters of the Caribbean ocean. The best part about living there was that I got to know a lot about La Isla del Encanto (the Island of Enchantment). Here is my perspective on how to make the most of your time visiting Puerto Rico. This may be the most obvious destination on the island, but I included it right at the top because you simply cannot miss it. Aside from being my favorite colonial city, it’s one of the most important and picturesque parts of Puerto Rico. 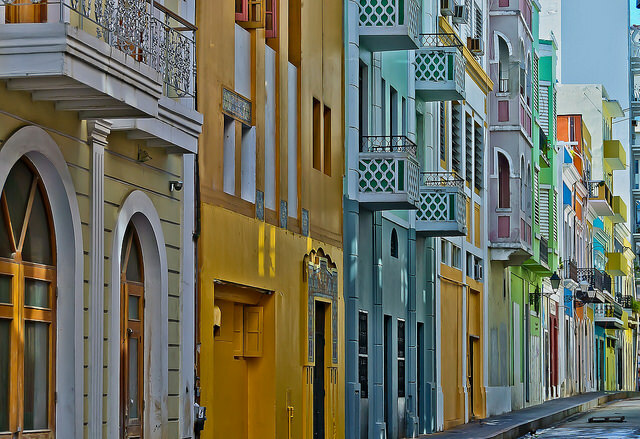 Old San Juan is home to many Spanish era National Historic Sites. If you look down, you’ll notice that the cobblestone roads are built out of blue bricks brought over by the Spanish conquistadors. The best way to see the city is to walk around and get lost through winding streets. There are parks everywhere, and my favorite place to see the stars is on the front lawn of El Morro (the largest fort) with a drink in hand. If you’re staying at a nearby hotel you might even have the chance to rent a jet ski to ride around the city for an extra special view. You’ll find all the travel guides selling this beautiful area because of the tropic rain forest. They’re all right; you should absolutely hike in El Yunque. What they might not tell you is that there’s so much to see in the surrounding areas. You’ll find beaches that are mainly void of tourists, and the charming city square of Luquillo. El Balneario la Monserrate is a popular beach with little gift shops and restaurants called Los Kioskos de Luquillo (the Kiosks of Luquillo). You can order fresh coconut water and take your pick from local cuisines. The barrio of Santurce is growing quickly in popularity among younger generations. During the day they have a great farmers market near Plaza Mercado, and at night you might catch live music. This area is also home to some great restaurants, a vibrant art scene, and lots of interesting bars. I cannot stress enough how much there is to see in PR. Get out of the city! 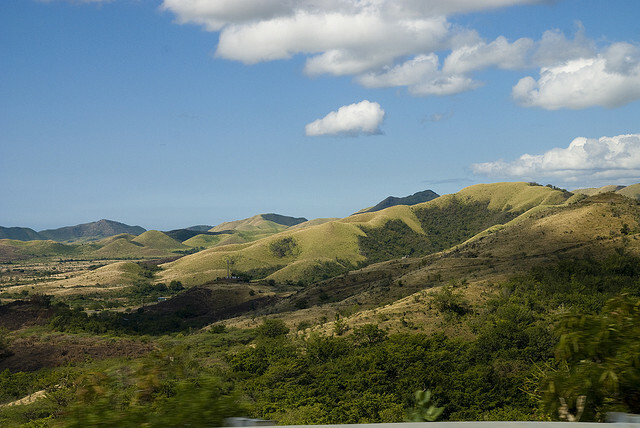 The Panoramic Route is a network of secondary roads that cut through the middle of the island. You’ll see mountains, wildlife, views of the ocean, and the way locals live in less populated areas. You’ll definitely need to rent a car or do this with a tour group. Three of the world’s bioluminescent bays are in Puerto Rico. You can visit Bahia Mosquito, found on the small island of Viequess off eastern PR, driving just past el Yunque to the Laguna Grande near Fajardo. Or you can venture to the far west to La Parguera Bio Bay. My favorite location is the Laguna Grande, where you’ll kayak through the mangroves to reach the pure brilliance of this glowing water. I don’t need to tell you that this is a big part of the Puerto Rican experience! I’ll let you in on a little secret, though – the best place to dance is in the middle of city squares. Walk around Condado, Isla Verde, or Santurce and follow the music. 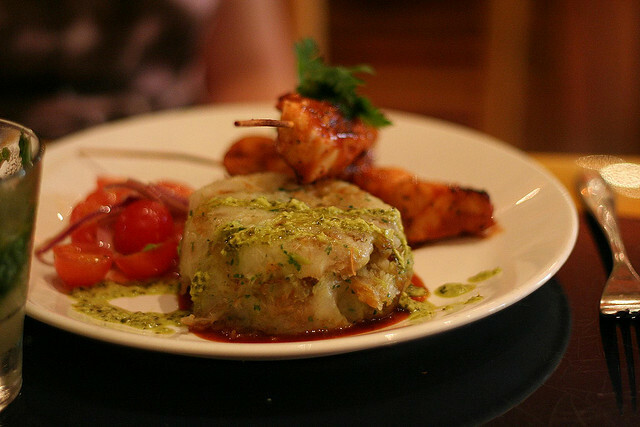 Puerto Rico is overflowing with deliciousness. You definitely want to try the most common delicacies: alcapurrias made from yucca (a potato like root), lechón (slow roasted pork), piononos (ground beef wrapped in sweet plantains) and mofongo. To really eat like a local, though, make sure you don’t leave out the pique (like hot sauce). Wander into a bakery and ask for a tostada con pan de agua (buttered and toasted bread), and for dessert order a quesito (cheese filled pastry). The largest problem for visitors is that Puerto Rico is not developed very well for tourism outside of the major hotels. When you’re in the city you might find it possible to get around on foot and with taxi’s, but in order to leave the city you may need to hop on a tour. After consulting with friends from the island, we came to a general consensus that the smartest thing to do is rent a car. I would suggest being very careful at night as crime in Puerto Rico continues to rise. Be sure to stay away from an area called La Perla in Old San Juan, located next to El Morro, where there is a lot of drug trafficking. They say “not even the police ventures down there”! Puerto Rico is not known for having all inclusive or affordable accommodations like other Caribbean islands, but it is possible to have cheap hotels. Here is a list of options and Airbnb is always an affordable option. This historic loft is $62 a night and this colonial apartment is $74 per night. If you’ve never used it before, here’s a $40 credit towards your first booking! As a rule of thumb, stay away from the big hotels and look for hostels or mom and pop places. It’s also common to rent a condo for longer stays. When staying in the Metropolitan area the Condado strip is very desirable, but you’ll save a lot of money if you stay in a nearby location with less nightlife, like Isla Verde. You’ll still be right in front of the beach, have lots of dining options, and be able to hop in a cab to Old San Juan. Thanks so much for sharing, Neysha! Are there any other Puerto Rican readers who could share more tips in the comments?